I’ve been writing about self-slabbed and hyped coins for more than five years on Coin Update News, not only because of the inherent dishonesty of auctioneers calling a silver-melt Morgan MS67, but also because of concerns about the hobby. One bad transaction in which a significant sum is lost, based on misleading or even fraudulent information, and the buyer will typically cease collecting coins. In a 2010 Coin Update News article, I noted that eBay (but not Proxibid) had changed its coins and currency rules to exclude grades and values from titles, item specifics, and descriptions for any lot not holdered by PCGS, NGC, ANACS and ICG. 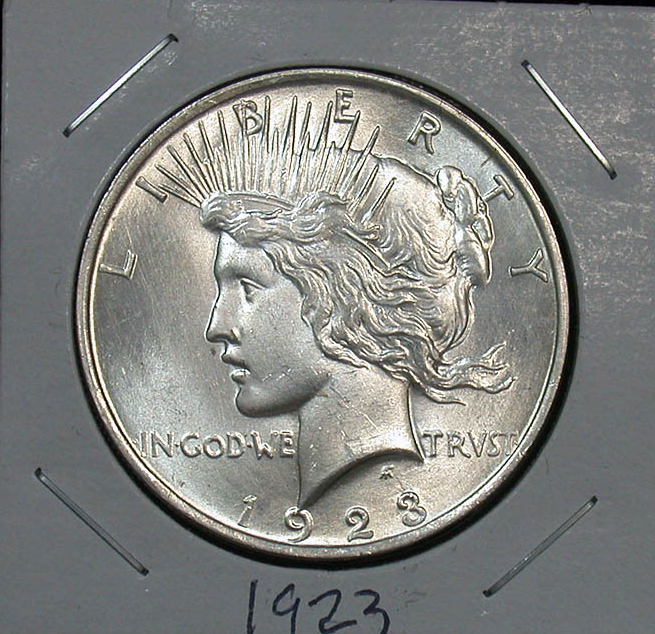 Moreover, eBay sellers no longer were allowed to open a bid or set a reserve or “Buy It Now” price of $2,500 or more unless the coin received a numeric grade from the four approved grading companies. You can read about eBay rules here. My analysis five years ago still holds today. In fact, I buy from Proxibid and sell on eBay. However, today I am happy to report, Proxibid has leveled the playing field with new eBay-like rules that will attract more bidders and enhance the portal’s reputation in keeping with its brand of trust. Beginning this month, Proxibid has amended its Unified User Agreement with significant changes to the coins and currency category. 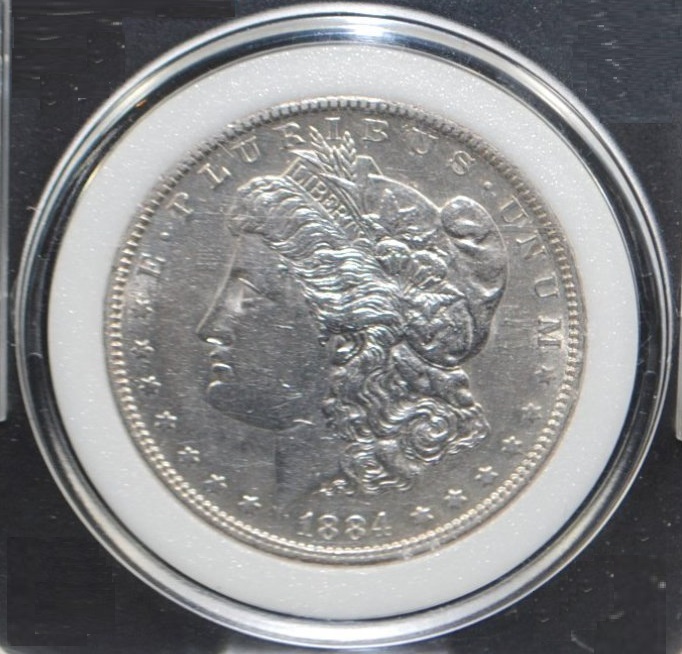 The portal will still allow coins to be listed by a non-approved grading company, “but the numeric grade can’t be included in the title, description, or item specifics.” Auctioneers can include an image of the coin in its graded holder even if that image shows a numeric grade on the holder. Jason Nielsen, senior vice president of operations, said, “At Proxibid, we take great care to provide the most trusted online marketplace for the sale and purchase of high value items like coins and currency. We have made important changes to our unified user agreement to ensure both buyers and sellers are protected when transacting online. I applaud this change. I know this company intimately because I have been a patron since 2009. I advocated for a Coin and Currency category, and Proxibid complied. I advised the company that all sales are not final, as many auctioneers believed if they list counterfeit coins. Again, the company agreed and included reference to this in its user agreement. I and others urged the company to designate trusted sellers, and Proxibid awarded them online badges. Bidders said they wanted to rate sellers, and Proxibid instituted that change. Finally, many of us wanted to report questionable or misleading items. Proxibid provided a venue for that, too. All of these moves only have strengthened the company’s brand of trust. This 1927-S Peace dollar above is harshly cleaned and bag-marked. It is silver melt, or worth about $25. 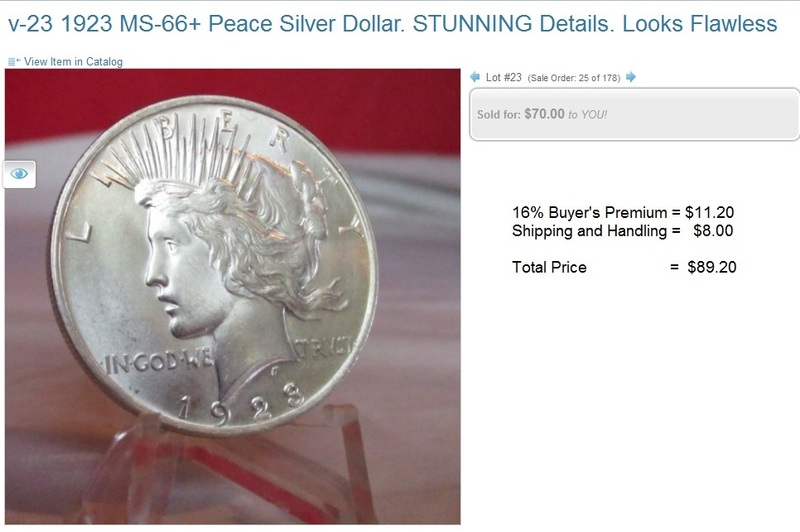 Its holder stated MS-66, the auctioneer cited a PCGS value of $45,000, and the coin sold for $690. You can also view this cleaned EF45 1884-s, worth about $35, that was listed as being worth $130,000 and that sold for $6,030! Sooner or later, the unlucky buyers or their heirs will try to recoup that investment only to learn that they were misinformed at best and misled at worst. Fact is, if a coin dealer did this in his shop, he could be charged with fraud. If a seller did this regularly, and shipped out of state, he could suffer the fate of the former PCI holdering company as identified in this article about a $2 million judgment based on racketeering laws. The new Proxibid rules will even enable me to cut my losses when bidding on the portal. Sometimes, the ability to grade is not a factor when photography is faulty or misleading, as described in depth in this post. Let’s document that. I paid $89.20 based on what looked like an MS-66 coin. I had gone the extra step of contacting the Proxibid auctioneer because I have issues with photos taken on the slant, which highlights luster and hides true condition, and had been assured that his grader was skilled enough to authenticate the condition. Compare the above photo on the slant with the one photographed by eBay seller Great Toning, to which I consign my Proxibid coins. This is the same exact coin! It sold for silver melt, or $24.25. 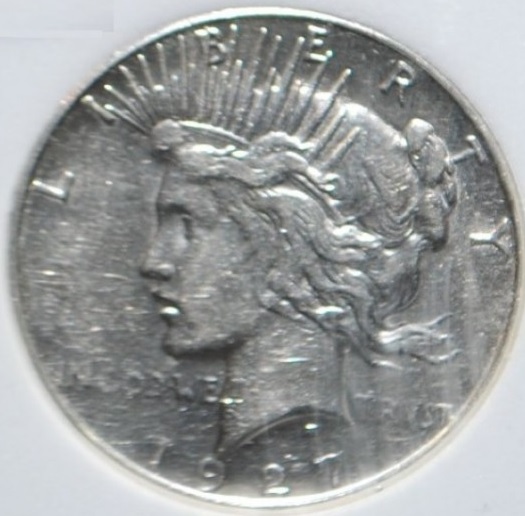 Note that the eBay seller correctly listed this as “uncertified Peace Dollar cleaned w/ hairlines.” That was how it should have been listed on Proxibid. The company’s new user rules will address that. Finally, there has been another significant change to the Proxibid service terms: “A buyer may not re-list or attempt to sell (on Proxibid or any other site) any item awarded on Proxibid prior to the seller receiving payment in full.” This is a typical scam that often plays out using a portal like Proxibid and the coin category on eBay. A buyer on the portal steals photos of lots he has won and immediately lists the lots in a 24-hour “Buy It Now” special on eBay. If he makes a sale, he pays the portal for the lot in question. If he doesn’t make an eBay sale, well, he may never pay for the item at all. What do you think about Proxibid’s new bidder-friendly rules? Use the comment section below. What about ICCS? for Canadian Coins? No on ICCS, Jim. Keep in mind that I used the term ANACS and Proxibid’s user agreement stated “the American Numismatic Association Certification Service.” You should know that eBay also uses that term and what’s worse, ANACS doesn’t correct the record on its history page: http://www.anacs.com/contentPages/History.aspx (I called the company and advised them to do that because of comments like yours, which are accurate.) The company bought the name ANACS, not the official former name.